Square Enix has released a new Kingdom Hearts HD 1.5 ReMix trailer today. This time it's a introduction trailer to the Kingdom Hearts series for newcomers to get introduced to the series. Kingdom Hearts HD 1.5 ReMix, which contains the HD enchanced versions of Kingdom Hearts, Kingdom Hearts Re:Chain of Memories and Kingdom Hearts 358/2 Days (movies only and trophy support will be released on 10 September in North America and 13 September in Europe exclusively on PlayStation 3. Square Enix has announced today that you can now pre-order Final Fantasy X / X-2 HD Remaster and they will also release a limited edition of the HD remake of Final Fantasy X and Final Fantasy X-2 in North America, Europe and other PAL regions. 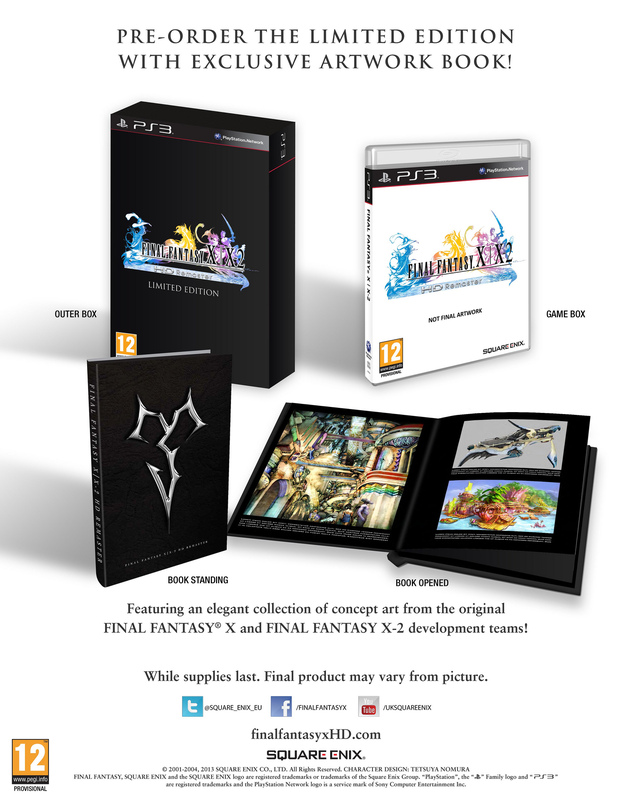 Next to the game the limited edition will contain a book with exclusive artwork from the original development teams. Square Enix did not tell when Final Fantasy X / X-2 HD Remaster will be released. Since Square Enix is remastering the international version of both games, North American fans can fight the Dark Aeons and Penance for the first time and also some other changes. They've also released a new video comparing the intro movie in the original version of Final Fantasy X and the HD remake. You can also check the official website of the games. Today Square Enix has officially released the PC version of Final Fantasy VII on Steam included with the same features as the 'enhanced' version that was released in the Square Enix Store in August 2012. 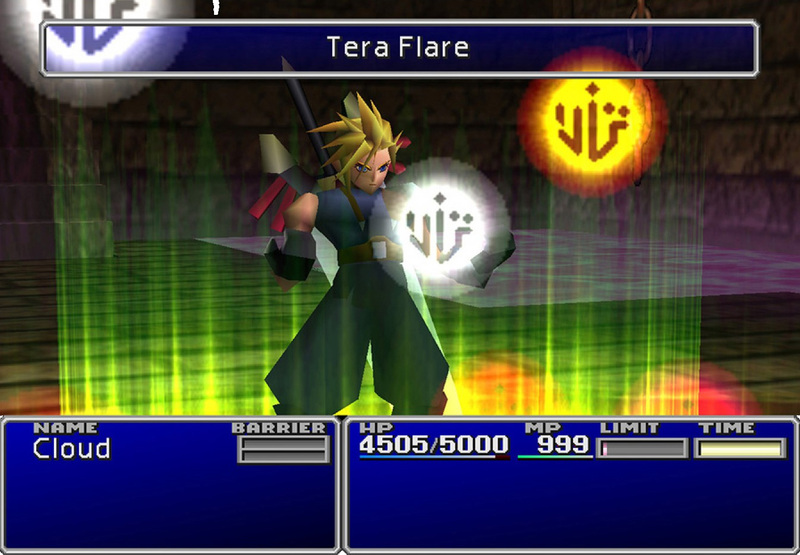 Features in the 'enhanced' PC version of Final Fantasy VII are 36 achievements (from winning your first battle to beating Ruby Weapon), cloud saving and a character booster. The game can be bought for €12.99 / £9.99 / $11.99 from the Steam page. Quite expansive still for an almost 16 years old game. However, fans that have purchased the 'enhanced' PC version of the game in the Square Enix Store are now complaining that they want a Steam key and don't want to purchase the game again. I kind of agree with that. Square Enix, stop being a money grabber and listen to your fans! Square Enix has announced on Twitter that the amount of beta test sign ups for Final Fantasy XIV: A Realm Reborn has surpassed 1 million. Currently the beta is in phase 3 and accepted participants can play the game this Friday again starting from 09:00 UTC till Sunday 09:00 UTC. After phase 3 the open beta phase will commence. 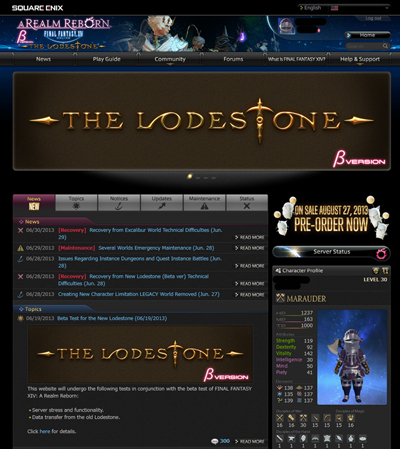 Also the new Lodestone has been opened for beta testing and so far it looks impressive. You can now also check your character's statistics and other information.